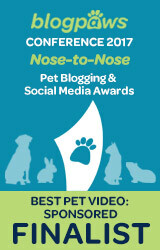 The holidays are a busy time of year, and that has certainly been true for the Pawsitively Pets' household and crew. We've been busy working on our blog and doing lots of holiday product reviews this month. But we've also been busy doing lots of other stuff like shopping, wrapping Christmas gifts, decorating, cooking, and more. 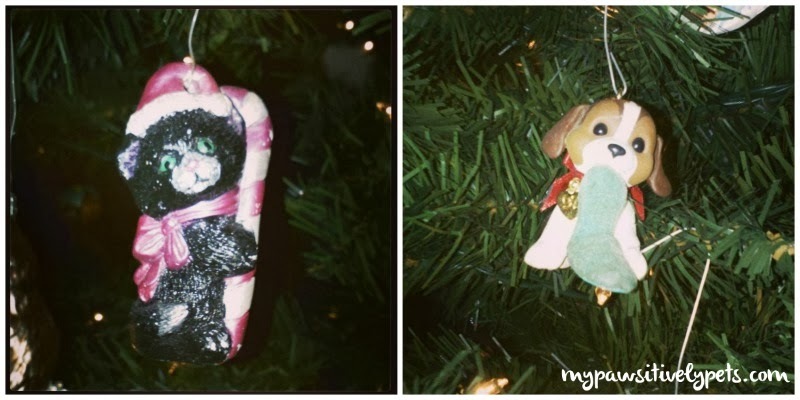 Here's a look at some of the animal Christmas ornaments on my tree. 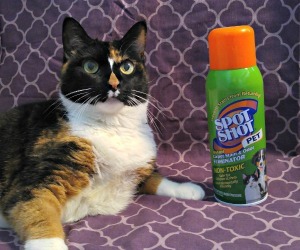 I have many more pet ornaments than the two below, and shared some of them in a post last year. The one on the left is a hand-painted kitten by my mother. The one on the right is a little Beagle puppy ornament. I mentioned that I've been busy shopping above. Online shopping included. This is the first year I've really gotten into shopping for things on the internet. Here's some of the stuff I've gotten so far. 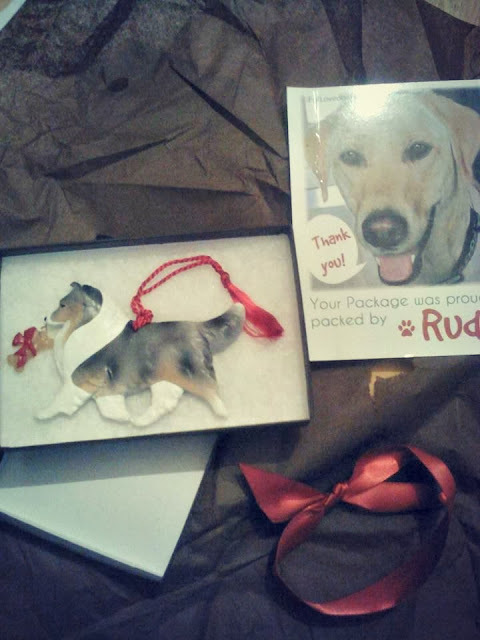 First up, I ordered this cute Shetland Sheepdog Christmas ornament from For Love of a Dog Jewelry. It's a gift for my grandparents, because they have a Sheltie that looks just like the ornament. You might remember Bear, because he was recently featured on the blog. 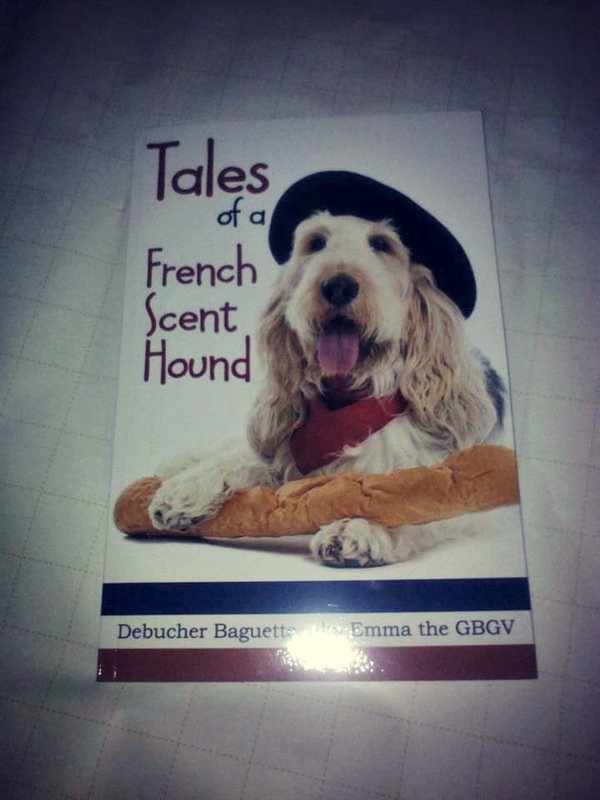 I also bought a copy of Tales of a French Scent Hound written by our friend Emma from My GBGV Life. I bought Emma's book as a gift to my 9 year old daughter because she loves to read and she loves animals. 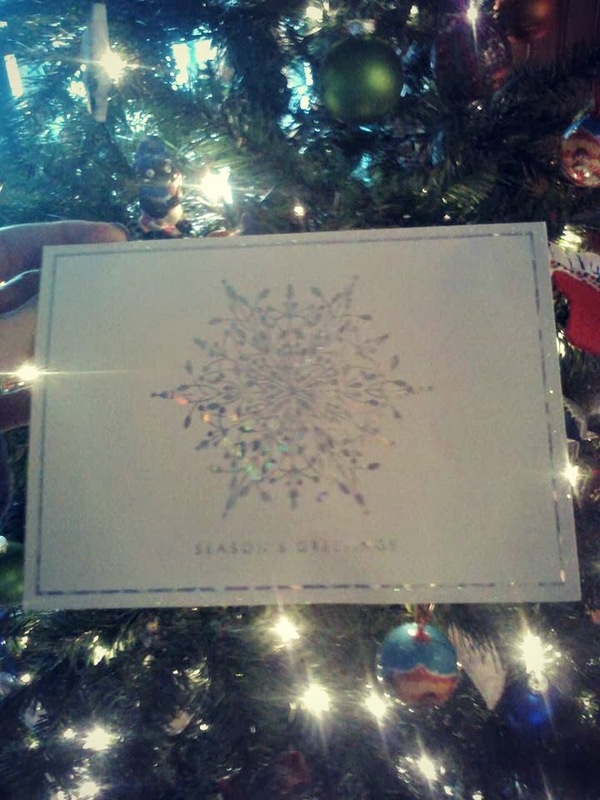 I've also been receiving some nice things from friends over this holiday season. I always love getting special stuff in the mail. It makes me all warm and tingly inside and it's very exciting! I won this Shelter Cat Doll from my friend Texas the cat's blog who also now lives in Austin, TX like me! 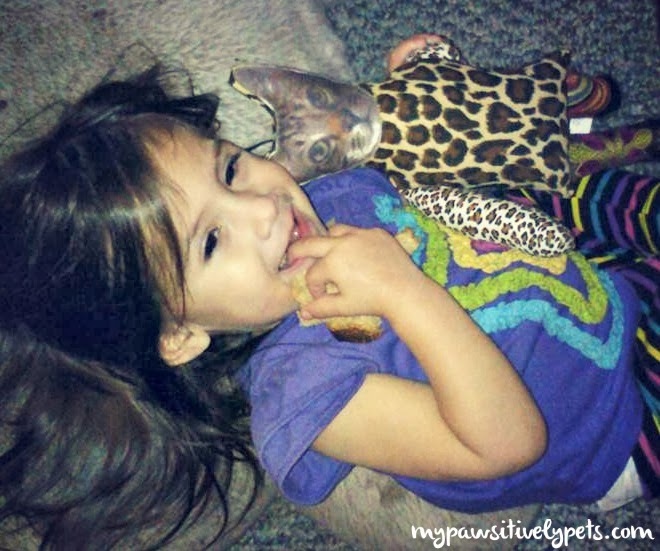 The Shelter Cat Doll is a Dream Pillow and smells really nice. My baby daughter loves it! 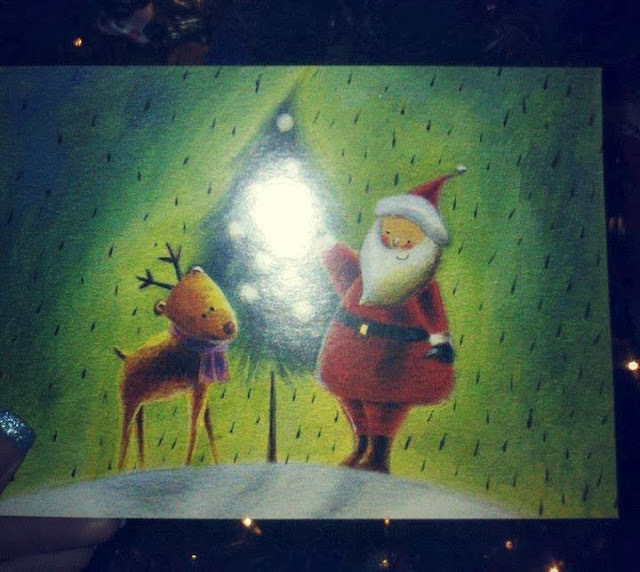 Shiner got this nice Christmas card with Santa and his reindeer from her pal @NancyCakeFace on Twitter. And I got this nice holiday card from my friend Christina from the blog Peace, Love, & Whiskers. 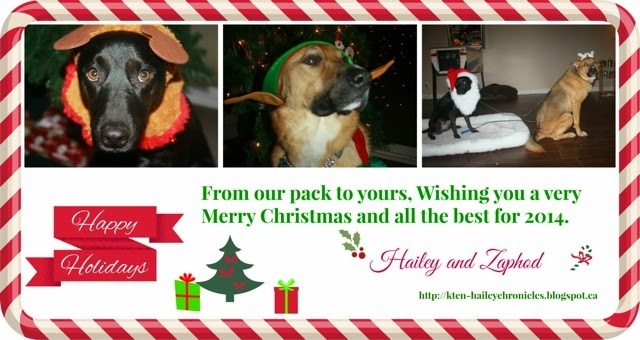 And our friends Lee and Phod sent us a nice email holiday card. I'm thinking this is what I'm going to have to do this year. I've saved the most exciting thing for last. I ordered Nibblet a new cage from Petco! The cage is a little over 4 feet tall and she has way more room to run around. Her last cage was super small. So I'm really excited to be able to get her a nice new castle to play in. 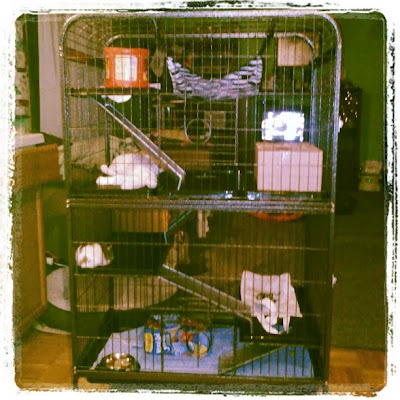 I really like the cage and was quite impressed with myself for putting it all together without any help. Except from Shiner who was snoopervising. I'll have to give you guys a better cage tour sometime. Has the holiday season been keeping you busy? 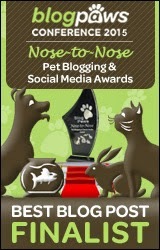 For the first time, I'm joining the This 'N That Blog Hop hosted by 2 Brown Dawgs and Ruckus the Eskie. Thanks for joining TNT. Wow great stuff. That crate is impressive! And thank you for hosting! I meant to join a while back but am bad with blog hops and always seem to forget! Nibblet's castle is amazing - and YES INDEED there's room for two in there! Love your ornaments and we too are doing the Christmas e-mail card this year - just not enough time for anything else I'm afraid! Thanks guys! I think Nibblet might like a little friend in there to keep her company. Rats are very social and usually do best in pairs or groups so I think a friend might be nice for her. Those ornaments are so cute. Nibblet would be so happy with a new castle. Beautiful stuff! Love the castle for Niblet! Great ornaments to! I would love to find some good Husky ones like that! We are #9 in the hop, come on by! Those are all really cool things! Tis the season after all!!! Both ornaments are adoprable. We love our Christmas tree ornaments here and treasure each one of them. Wow, I bet Nibblet is thrilled! You got some great gifts online too. Wow Nibblet, that's much better than the Elysee palace :o) I bet your grandparents will love this ornament, it's just beautiful! Well, that castle certainly does look big enough for Nibblet to have a friend! We'll be staying tuned for any news in that department! It looks like you are having a lovely holiday season....it is always such a busy time but it is good to just stop and appreciate and enjoy it all too. If she does get a new friend, it will probably be after Christmas is over with! That is an amazing castle! Nibblet must love it. Welcome to TNT! You've had lots of thises and thatses. shiner N crew...Christmas bee startin earl lee at yur place...awesum cards N gifts sew far N we noe de wee nibblet wood like a room mate...may bee shiner wood two !!! I think Nibblet would, but Shiner is an only dog kinda gal! great holiday post! Love seeing everything going on and love that Sheltie ornament! Cute ornaments :) You have a lot of goodies. We have been busy as well...really busy! Thanks so much for ordering my book. I know she will love it. 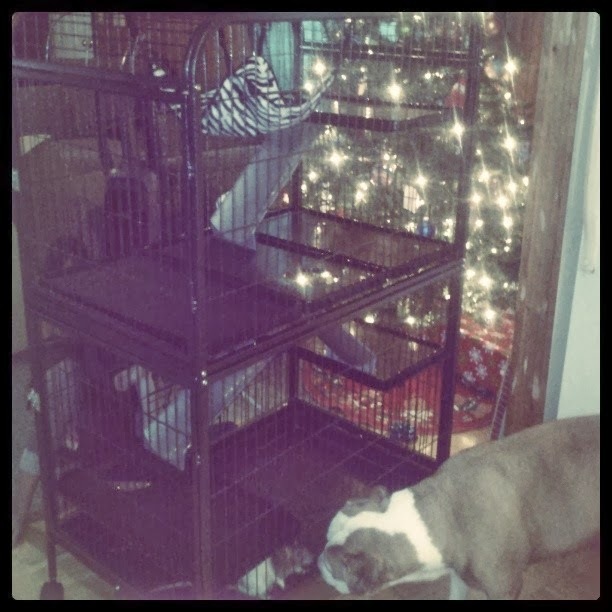 Are you worried at all about someone (pet) tipping over Niblet's cage? Mom has a love for Gerbils, had many as a kid but she is so afraid that we dogs or cats would get into the cage somehow. I bet Niblet would enjoy a friend though. I kind of like it actually! I am starting to become an online shopaholic I think! That's a nice holiday tour! You have LOTS going on, that's for sure! Nice holiday tour! I agree with Maxwell and Allie, you do have lots going on! We are #17, come on by to read about a tragic crash! Looks like you guys are super busy this holiday season. I think we're going to have to do an e-card too. I'll have to ask DK to get on that soon. I'm also in the process of getting him to redo my blog banner. He'll have a lot to do for me soon! 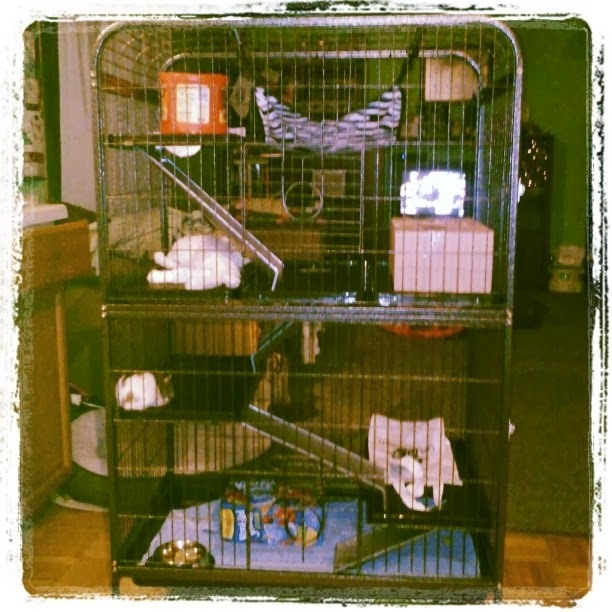 Niblet's cage is HUGE! He's one lucky rat. Ah well your holiday should turn out awesome then if he's designing it! The dream pillow is HILARIOUS! Love it. 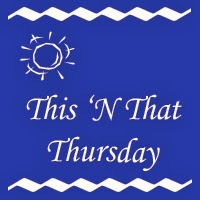 Thanks for hopping on for this week's This 'N That Thursday Bloghop. See you next week! Love your tree! I'm inspired! I am working on a small tree with Brittany and Cavalier ornaments - which are kind of hard to find... Love Niblets cage...a friend may be in order ! Hi Kathryn, I'm sure you could find some at For Love of a Dog. She has every kind of dog I swear!